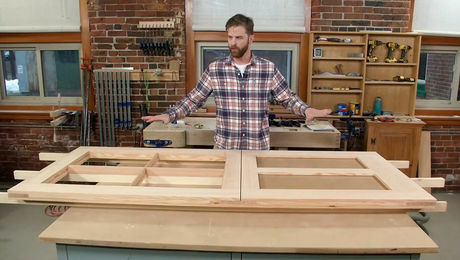 To the uninitiated, it might appear that once a new door or window is in the rough opening and the exterior is flashed, the installation is done and it’s time to install the trim or move on to something else. Stopping the installation there, however, leaves out a very important step: air-sealing the interior. 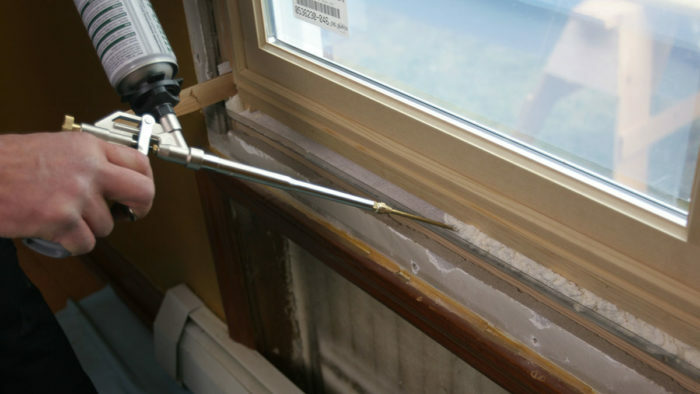 Air leaks around doors and windows not only significantly increase energy losses and make a house less comfortable, but the resulting cold spots inside the wall also can create condensing surfaces that wet insulation and damage framing and finishes. 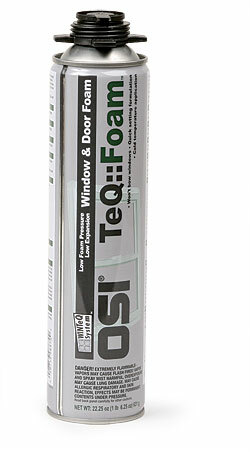 Modern spray foam makes air-sealing around windows and doors fast and easy. 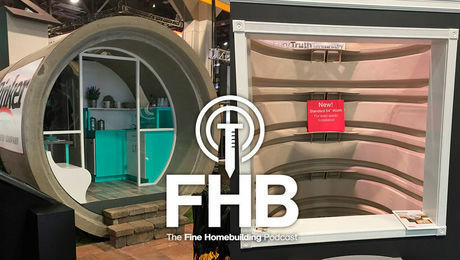 The secret is to use a low-pressure, low-expansion, closed-cell foam designed for windows and doors, and to apply it with a pro-style foam gun. Don’t use expanding foams (often marketed as crack-and-gap fillers), which can exert enough pressure to distort frames and hinder door and window operation. Also, before air-sealing, make sure that the door or window works perfectly, because the foam makes later adjustments extremely difficult. Polyurethane foam sticks tenaciously to just about anything it touches, so keep it away from finished surfaces and home furnishings. Also, wipe away messes on hard surfaces as soon as they occur. You can clean up uncured foam on soft materials with acetone or aerosol cleaners made by foam manufacturers, but when the foam is sitting on the surface, it’s generally easier and less damaging to let it dry and then to cut, pick, or scrape it off. 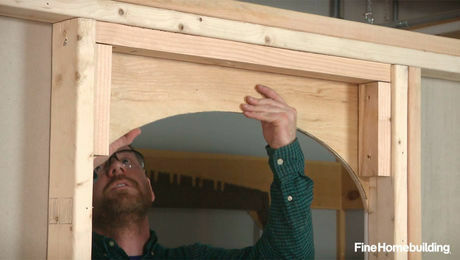 Once the top is done, seal the sides by working from the top down and using the edge of the jamb to guide the nozzle for a neater job. To make cleanup easier, periodically wipe the gun’s nozzle of accumulated foam with a rag or paper towel before it dries. 3. Seal manufactured sill pans with caulk. 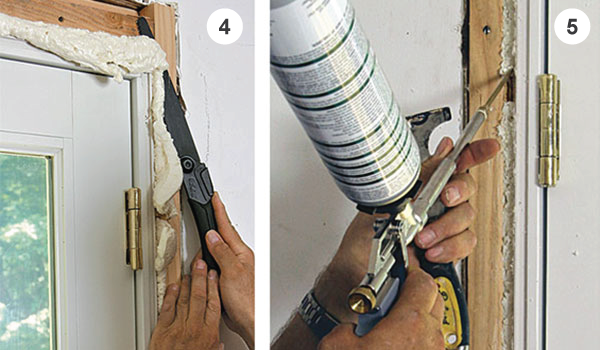 The tiny gap between window and door frames and manufactured sill pans is better sealed with window-and-door caulk rather than foam (see the sidebar in “Energy Smart Details,” FHB #212). Seal only the top edge of the pan’s back dam so that water can drain from beneath. A strip of painter’s tape ensures a tidy job. Seal site-built sill pans with foam. For site-built sill pans made from flexible flashing, use a single bead of foam at the rear of the pan to keep out air and water. 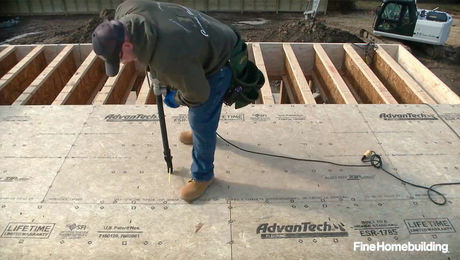 The single bead allows water to drain while stopping air movement. 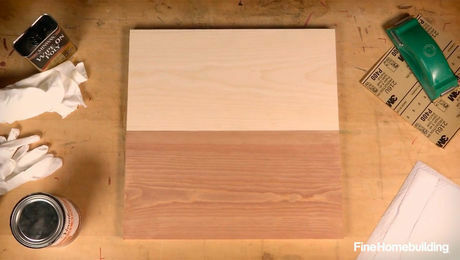 Once the foam has had a chance to set up thoroughly, usually after about an hour, trim the foam flush with the opening using a reciprocating-saw blade or a keyhole saw. The author likes this razor-sharp contractor’s saw from Tajima (www.tajimatool.com). If you haven’t already trimmed the shims used to level the unit, cut them off so that they’re flush or below the framing. 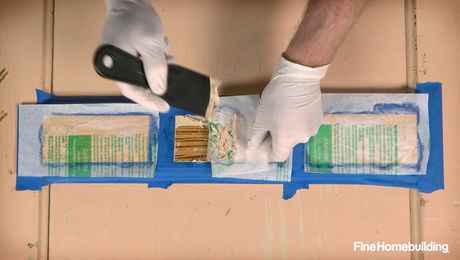 Cover the ends of the shims with foam, and fill any remaining gaps in the foam previously installed. 6. Keep a can of foam on the gun. Polyurethane foam cures with exposure to humidity, so make sure the gun is airtight by keeping a can of foam on it at all times, even if the can is empty. 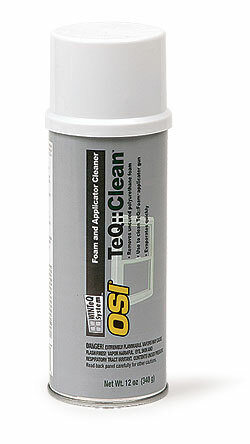 If you won’t be using the gun for several weeks, replace the can of foam with a can of cleaner. Run the cleaner through the gun until the spray is clear. A pro-style foam gun is vastly superior to the plastic straw that comes with the cans of foam sold at home centers. 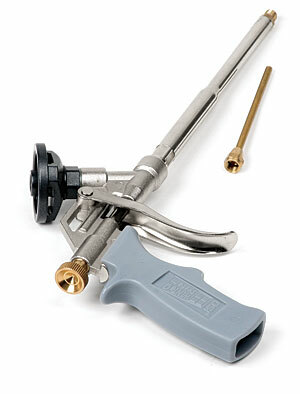 The tool features a small nozzle that can fit in tight spots and an adjustable trigger for improved control. The cans of foam it accepts are also a better value than straw-dispensed cans, yielding more foam at a lower cost with almost no waste. Consider extension tips. Some guns accept small-diameter metal extension tips that make it easier to slip the nozzle into the space between the jamb and the rough opening. Other guns have a barbed tip that accepts flexible plastic nozzles. 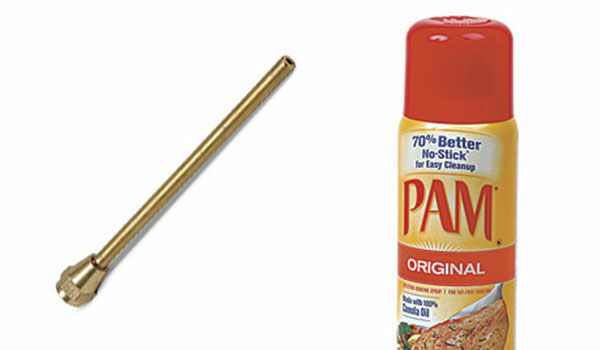 Cooking spray ($4). A light coat of cooking spray on the gun’s nozzle prevents dispensed foam from sticking to the gun, resulting in a neater job and easier cleanup.